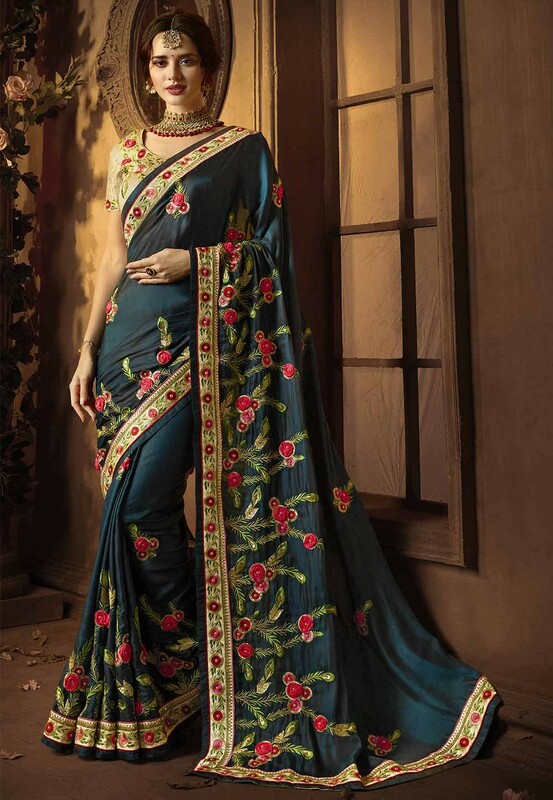 Style and pattern would be on the peak of your elegance as soon as you dresses this Green Colour Silk Saree. The attractive Lace,Embroidery,Stone work through the attire is awe-inspiring. You're reviewing: Green Colour Embroidery Saree. White Color Anarkali Salwar Kameez.